Beloved New Jersey bear Pedals is said to be dead. A Facebook fan page for the American black bear who ambled around on two legs reported Pedals dead on Friday, possibly killed by hunters. 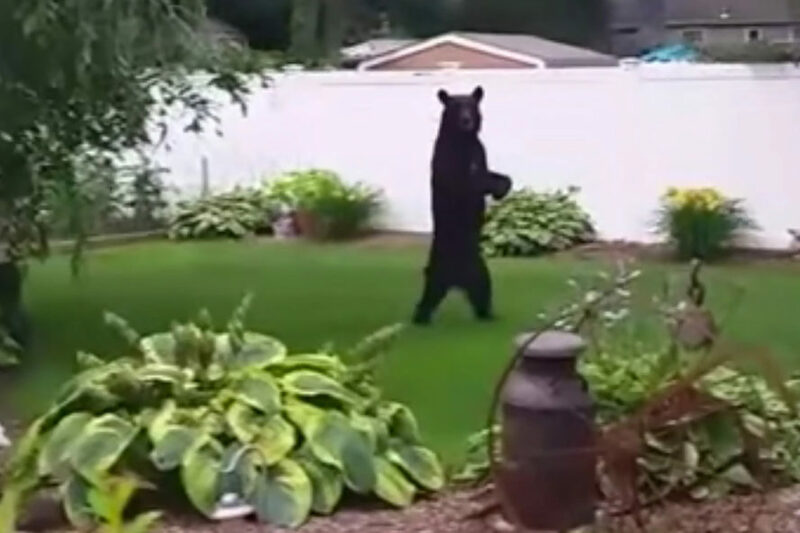 Fans of Pedals are calling out for justice for the bipedal bear. Many people were attempting to get help for Pedals and send him to The Orphaned Wildlife Center in New York. A GoFundMe page had amassed over $22,000, and over 300,000 signatures had been attached to Rose-Rublack’s petition petition calling on Governor Christie and the NJ Division of Fish and Wildlife to send Pedals to the sanctuary, paid for by those who donated to the GoFundMe page. The NJ Division of Fish & Wildlife responded with a statement that said, “While the Division appreciates the concern for the bear, it has no way of verifying the identity of any bear that has not been previously tagged or had a DNA sample previously taken.” A spokesperson for the Division told The New York Times they had snapped photos of a bear with injuries that may or may not have been Pedals, and that they planned to release the photos some time this week. A beloved walking bear in New Jersey may have been killed by hunters. Pedals was an American black bear who walked around upright. It's unclear if Pedals had a congenital defect or was injured.